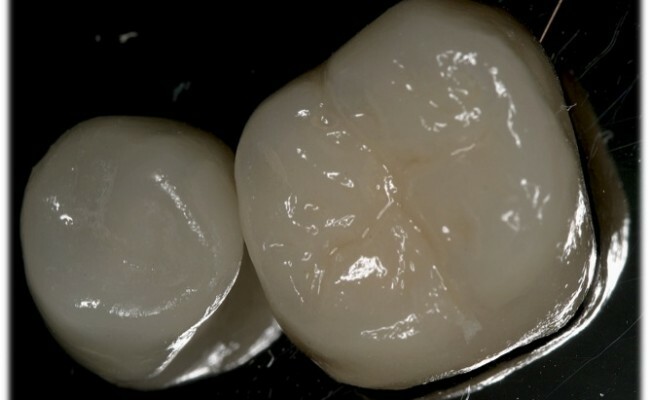 Crowns, commonly called porcelain crowns, are restorations that cover the entire tooth in a functional and aesthetic way. Crowns are strong and durable restorations that have a similar external appearance to your teeth. With them we can change the color, position and shape if you so desire. 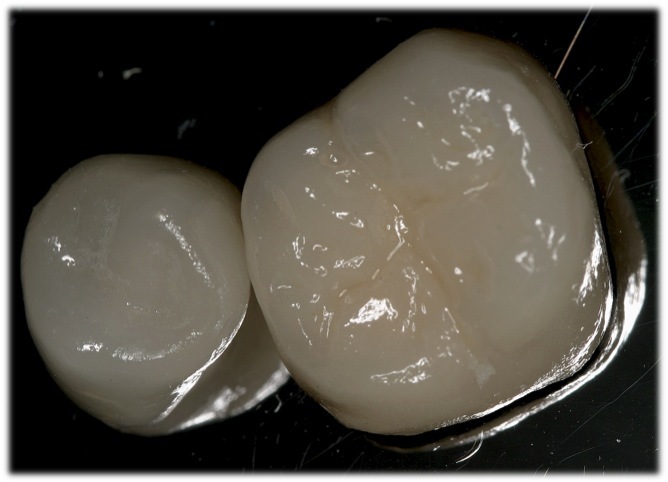 In general there are two variants in the manufacture of crowns: porcelain fused to metal and metal free. 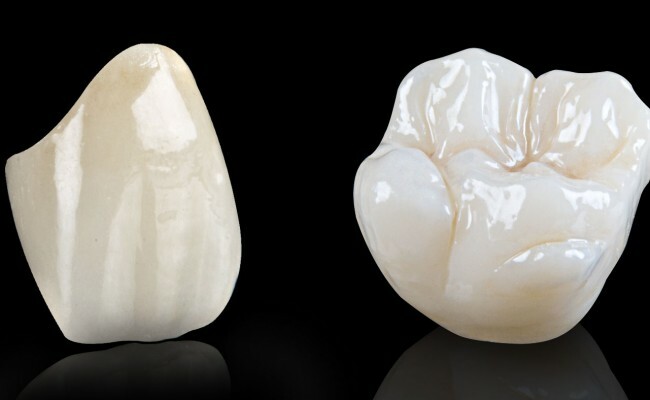 This is the classic crown, which is formed by a layer of cooked color porcelain on a metal core tooth. The metal is inside and you can no see it. The other variant are made entirely in ceramic type, resistant to chewing forces. Particular the metal free crowns are used more frequently in areas where aesthetics is highly demanding because these types of crowns have an incredibly natural look. In Dentalec we will do a thorough check and if you require a crown will explain the procedure and the type of crown that you require. When teeth are missing, a fixed dental bridge is an excellent choice to replace them. 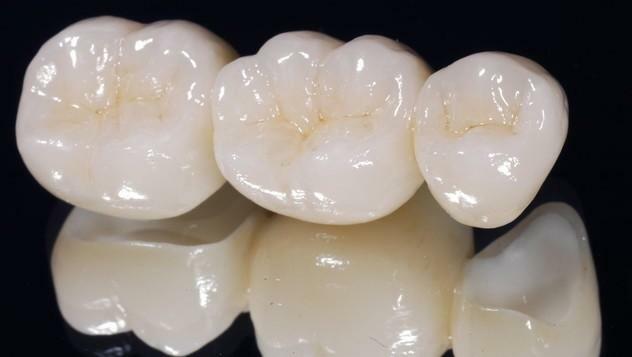 This type of bridge allows us to maintain a stable bite and restore your smile. 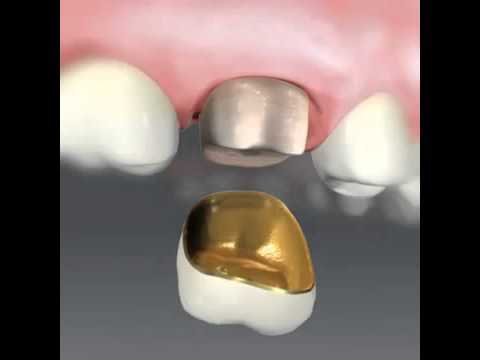 To do a fixed bridge we need at least two teeth to support the missing tooth, and the procedure is similar to making crowns. It is very important replace as soon as possible the tooth that has been lost, because a several problems will appear such as movement of teeth, bone loss, difficulty to chew and keep clean the areas around the missing teeth; the plaque and bacteria which cause cavities and periodontal disease will accumulate. In Dentalec we will make a thorough examination to ensure that adjacent teeth are healthy and can provide a solid foundation for the bridge. The exam includes x-rays and clinical examination. There are several types of materials to make bridges; our specialist will help you identify which is the best option for your situation. And before starting any treatment we will explain how to perform. Please contact us as soon as possible to schedule your appointment!